What might it look like if our hearing sense isn’t working well? When the hearing sense isn’t processing the sensory inputs it receives very well there are two typical sensory issues: difficulties with sensory modulation and poor sensory discrimination. 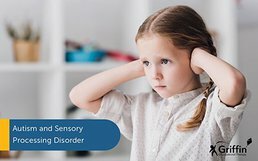 You can learn more about sensory modulation and discrimination in our post ‘What is Sensory Processing Disorder.’ Here we will discuss how these sensory issues affect the hearing sense. Please note the information below is related to a difficulty processing sounds in the brain once they have been heard. This is different to being able to hear sounds in the first place such as if a child is deaf or has hearing loss. When there is sensitivity to sounds the child or adult may have constant overreactions to everyday sounds in the environment. This distracts the child or adult from what they need to be listening to. It may mean they avoid certain places, for example, children avoiding the toilets because they don’t like the sound of the hand dryer. Sensitivity to noise can also often result in a ‘fight, flight or freeze’ response in the brain. We discuss this further in our post Noise Sensitivity (join our mailing list to know when this is released). Sensory discrimination refers to the ‘what’ and ‘where.’ For the hearing sense, this relates to the qualities of the sounds. For example, how loud was the sound? What pitch was the sound? Which direction did the sound come from? Was it a familiar noise or new? Was it your mother’s voice or your father’s? Is it a sound you like? Was there any rhythm to it? Children and adults with poor auditory discrimination skills can find processing all of these sounds more challenging. Why is our hearing sense important for learning and participation? 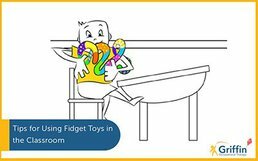 The ability to focus and attend to the correct sounds is essential for learning and participation. If you’re at a party and a friend is telling a story you need to be able to ignore the other sounds in the background and focus on their voice. For children and adults with sensory processing disorder sometimes this can be impossible. The background music may be all that their brain tunes into rather than that of the speaker making it really hard to listen and join in. At school and work, you must be able to pay attention to lessons or meetings. The hearing sense is super important to help with your learning and participation. If you’re not listening, you will likely miss important information. Sometimes children and adults with sensory processing disorders are trying to listen but their sensory issues make it more difficult to process the sounds they are hearing. 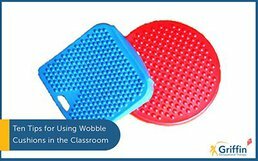 What about sensory discrimination with sound? Sound discrimination is very important day to day, especially in the classroom. A child must be able to discriminate between sounds to be successful in a phonics lesson. They must be able to know which sound is the lunch bell and which bell is a warning alarm. They need to be able to discriminate between their teacher’s voice and general chatter. It’s also important to know which direction the voice is coming from so you can look the right way. The same is true at work or at home, understanding the ‘what’ and ‘where’ of sounds is really important! Finally, our hearing sense is very important to help to support out communication. Whilst there are options to communicate if you have hearing loss, speaking is the typical way that humans communicate their ideas and needs. 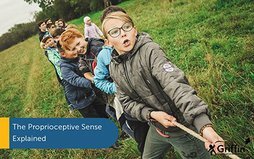 So, there you have it, an introduction to the hearing sense for those who are trying to help a child or adult who has a sensory processing disorder. If you would like to hear more from us please do join our monthly newsletter.